(NaturalNews) In what appears to be a first for America, scientists and water quality managers who worked for the government have been charged with felony crimes for conspiring to poison the people of Flint, Michigan with lead in the water supply. Multiple charges were filed by Michigan's attorney general against Mike Glasgow, 40, of Flint, the city's laboratory and water quality supervisor; Mike Prysby, 53, of Bath, a Michigan Department of Environmental Quality official; and Stephen Busch, 40, of DeWitt, the suspended Lansing district coordinator for the DEQ’s Office of Drinking Water and Municipal Assistance. The charges filed include felony official misconduct, conspiracy and tampering with evidence. The individuals charged with the crimes now face up to five years in prison. While serving time in prison, ironically, they will likely receive cleaner water than what they fed to the residents of Flint. What's notable here is that one of the individuals, Mike Prysby, is an official with the Michigan Department of Environmental Quality (DEQ). I have personally come to know that the DEQ of Michigan is an extremely corrupt, criminally-run organization, so it's absolutely no surprise to me that this individual allegedly committed fraud as part of the cover-up. What's even more interesting in all this is that Detroit is also the epicenter of mass criminality in the cancer industry. 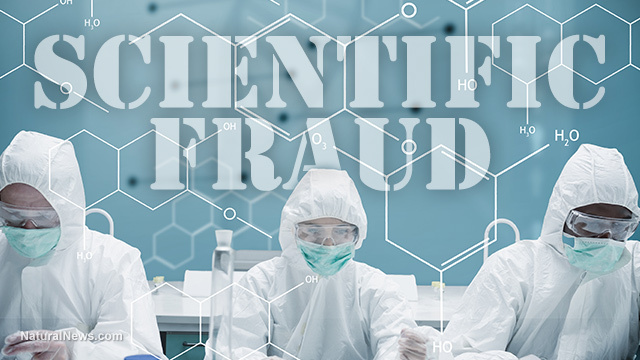 Earlier this year, Dr. Farid Fata was charged, prosecuted and sentenced for multiple felony crimes involving the false cancer diagnosis of patients who were then "treated" with chemotherapy. Dr. Farid Fata worked out of a Karmanos Cancer Center property, and his colleague, Dr. David Gorski, has been named in a series of criminal allegations that I personally filed with the Michigan Attorney General (and the FBI) on behalf of Natural News investigators and editors. What do all these alleged crimes have in common? The routine exploitation of black people, who make up the majority of the population in Flint and Detroit. Whether it's cancer profits or water quality cover-ups, the pattern we typically see involves white people in positions of power exploiting, harming and even KILLING black people to either earn profits or protect state secrets. Yes, there is a racial genocide element to all this, and nobody in the mainstream media is pointing this out. Ever wonder why all the criminal poisoning and fraud just happens to target black people? Isn't it curious why so many mass poisoning incidents in America just happen to target black people? The vaccine-autism cover-up disproportionately affects young black males. The lead water poisoning in Flint delivered toxic water to mostly low-income black families. The Dr. Fata cancer treatment scam treated mostly black people, and the ongoing activities of Dr. David Gorski, a deranged, pathological white man filled with extreme hatred and driven by mental illness, also predominantly targets black people. I don't know about you, but if I were an African-American citizen of Flint or Detroit, I'd be pretty darn convinced that "whitey" is literally trying to kill my people. It's not an unreasonable conclusion. (And I say that as a white guy, too.) The fact that a few of these mostly white guys finally got caught is encouraging, but it's just the tip of the iceberg. I'm not trying to start a race war or anything, but seriously, how many more white doctors, hospital administrators and government officials are raking in huge dollars by poisoning or killing predominantly black people in Detroit? And why aren't all the black leaders picketing the damn cancer centers that prey upon the lives of black folks? The cancer industry has figured out how to turn a black person into a hefty profit. All they have to do is diagnose nearly everyone with cancer, then bill Medicare for the high cost "treatments" that sometimes kill the patients. Yeah, it's a criminal racket. It preys upon the innocent. It targets people based on their skin color (because cancer is usually more aggressive in people with darker skin, due to vitamin D deficiency), and it powers much of the economy of big business in Detroit. Today, three white guys who poisoned the citizens of Detroit look like they're going to jail. But I say it's not nearly enough! There are more who need to be investigated, prosecuted and imprisoned for their crimes against the people of Flint, Detroit and other predominantly black areas of the country where low-income people are exploited for sky-high profits. That may be where this is all headed, by the way. As the Detroit Free Press reports, "The first round of criminal charges against three men involved in the handling of the Flint water crisis will likely set the stage for a broader investigation that could reach higher, legal experts say." Let us all hope the criminal charges reach all the way to the top. Because as far as I'm concerned, all people deserve clean water and competent health care, no matter what their skin color. Governor accused of criminal racketeering cover-up of Flint's lead poisoning... Will EPA officials who ignored the risk be held accountable too?